Above: AY-3-8910 sound chip mounted on a circuit board. 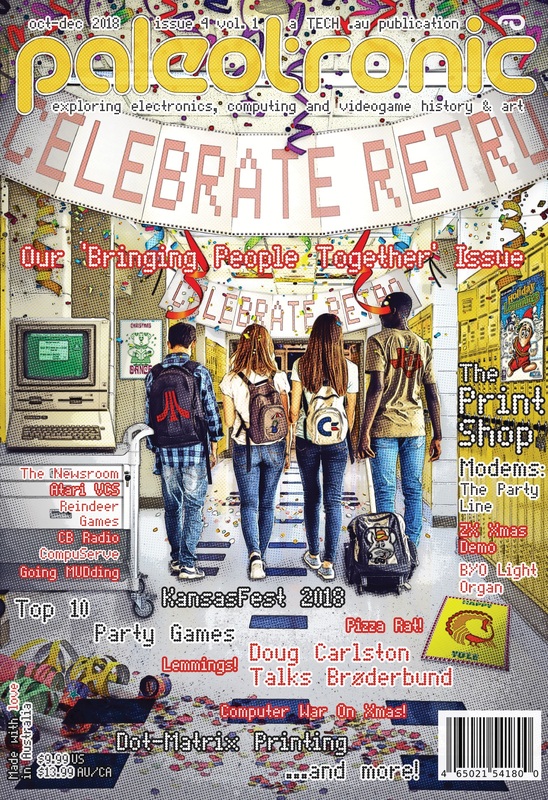 THE ARCADE games of the 1970s used dedicated circuits for sound – even the sound chip in the Atari 2600 only had a set of pre-defined sound effects and an oddly-tuned tone generator. 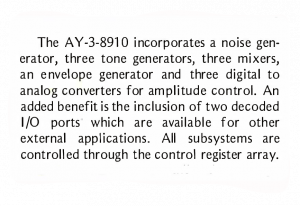 Realising that the emerging home computer and video-game industry provided a new market for a digital sound-synthesis chip, in 1978 General Instruments designed what they designated the AY-3-8910. 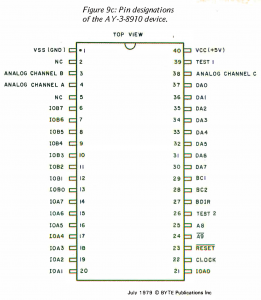 The 8910 featured three separate sound channels, each of which could produce a single oscillating square-wave tone. In addition, there was a noise channel, which could be mixed into the three tone channels. This was intended to permit game programmers to create explosions, gunshots and other sound effects, but would be also used later to create drum sounds, especially by future “chiptune” composers. A set of hardware envelopes were also included in the chip. 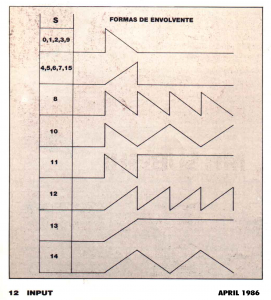 Envelopes shape the volume of a generated tone (and/or noise) – for example to trail off at the ending of a flute sound, or taper off an explosion – and repeating envelopes at high frequencies could be used to crudely reshape the square wave into a sawtooth or a triangle wave, providing variety in the timbre of the tones. However, there was only one envelope generator shared between all three channels, so on host systems with faster CPUs, sound and music programmers often manipulated the volumes of the tones directly, creating software envelopes instead. 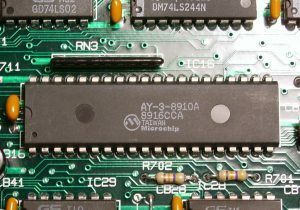 The 8910 was a state machine – that is, the parameters of the components (tone generator, volume, noise mixing and envelopes) –the state – used to generate the audio output were programmed into various registers inside the chip (often dynamically – on the fly) and these states resulted in a finite set of outputs. This was ideal for audio synthesis. generators, which had a wide range and fairly accurate precision), the possible combinations of all the components working in concert and the ability to constantly modify them without needing to stop and restart audio generation led to a fairly wide, although distinctive, variety of musical tones and sound effects. Mattel’s Intellivision console, released in 1979, featured an AY-3-8910 sound chip, which gave it a serious edge over the Atari 2600, whose sound was generic and repetitive. 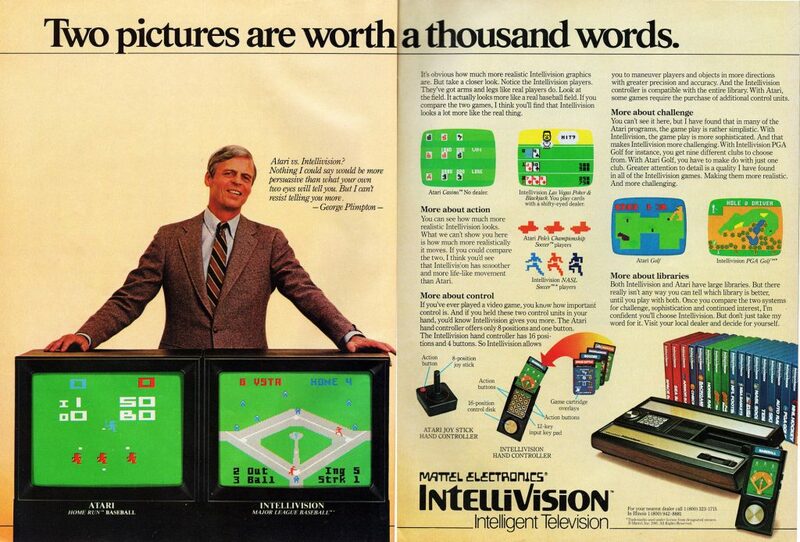 While the Intellivision would fail to overtake the 2600 (due in part to its competitor’s vast library of games), over three million of them were sold between 1980 and 1983, and games would continue to be released until 1990. 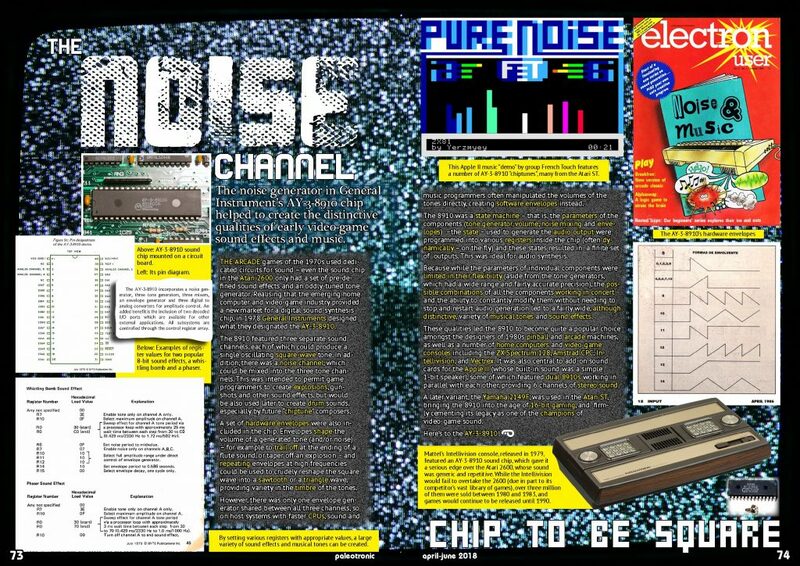 These qualities led the 8910 to become quite a popular choice amongst the designers of 1980s pinball and arcade machines, as well as a number of home computers and video-game consoles including the ZX Spectrum 128, Amstrad CPC, Intellivision, and Vectrex. It was also central to add-on sound cards for the Apple II (whose built-in sound was a simple 1-bit speaker), some of which featured dual 8910s working in parallel with each other, providing 6 channels of stereo sound. This Apple II music “demo” by group French Touch features a number of AY-3-8910 “chiptunes”, many from the Atari ST.
A later variant, the Yamaha 2149F, was used in the Atari ST, bringing the 8910 into the age of 16-bit gaming, and firmly cementing its legacy as one of the champions of video-game sound.